These two had one of the most precious wedding days. The weather was perfect and these two will make anyone smile just seeing them together. They are so genuine and loving, and even on their special day, they were concerned about making others feel welcomed and comfortable. Their ceremony was held in their family field, the same field where Drew proposed to Asia by carving “Marry Me” into a tree. Here’s the link to that precious engagement session. They had beautiful handmade decorations with vintage furniture and a gorgeous altar built from their family’s wood. 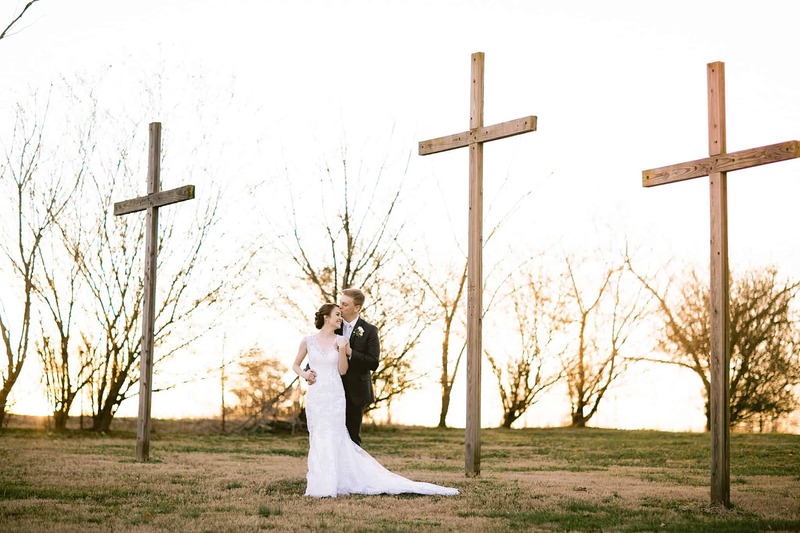 Although their ceremony was literally the fastest we’ve ever witnessed, it allowed for some insanely beautiful sunset shots at the perfect time. You know I’m a sucker for that golden glow. After the sun set, we arrived at the reception where Asia’s father and his band played (fantastically I might add) and the party started. October 12 could not have been more perfect for Drew and his Asia, and their friends and family will agree. We are so blessed to have befriended this couple through the journey of their wedding photography experience and we look forward to many more dinner dates in the future! As a surprise to the couple, the grandmother’s gave them a box of butterflies to release at the conclusion of their ceremony.